Medical aids are always a hot topic of debate. And the person who can brag about quality, affordable medical care is the enviable one. But not many people are aware of Essential Med insurance. Without medical insurance, doctors and hospitalisation fees can run into thousands of Rands and cripple you financially. But this is particularly true when you are travelling abroad and require urgent medical attention. Before you travel overseas, get to know what international medical insurance your health insurance will cover and if it includes medical evacuations back to South Africa. That is because medical evacuations can cost thousands of Rands. Essential Med is for anyone who can’t afford a medical aid and who also can’t afford to pay medical costs out of their own pocket. Importantly, EssentialMed is for anyone looking for an affordable, viable alternative. If you are a student or work for yourself, there is excellent cheap medical aid coverage available at a price that suits you. Essential Med specializes in the cheapest medical aid coverage for South Africans. Often referred to as Essential Health Medical Aid, Essential Med is not really a medical aid, but they offer affordable health insurance to individuals, couples, families and companies. Essential Med medical aid provides their members with different policies and hospital insurance plans. South Africans are opting for cheap hospital plans with day-to-day healthcare benefits as opposed to the more costly comprehensive plans, like those offered by Fedhealth. People who battle to keep up with the costs of other medical aids in South Africa turn to Essential Med. Essential Med’s policies provide cheap but quality private health care to people who don’t have lots of money to go around. This health care comes from an approved network of healthcare service providers. The healthcare insurance policies which Essential Medical aid offers is their Basic Essential Med plan, Balance, Boost and 55 Plus. Their Basic Policy Option suits healthy people who want reliable day-to-day healthcare benefits as well as hospital cover. The over 55s are not left out and Essential Med offers them day to day benefits only as well as the Essential Assist services, which are great because they minimise the impact of expenses related to health, travel, car, and funeral expenses. It is important to know the difference between health insurance and a medical scheme to get the best. The two are governed by different rules and regulations. 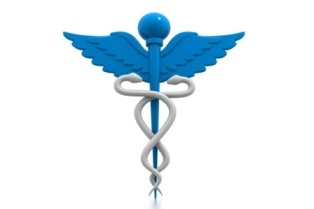 Health insurance such as Essential Med is a long-term insurance policy. But medical aid isn’t an insurance policy, but rather an agreement between client and provider. In addition, the rates of private medical aid schemes can be expensive, and health insurance covers the gap. And where health insurance policy premiums are not deductible, medical scheme contributions are tax deductible. The people of South Africa want affordable, quality health care and Essential Med offers them a fine choice of medical aid policies that will meet their unique health care needs.